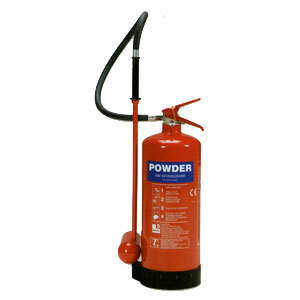 The L2 specialist powder extinguisher is designed specifically to fight combustible metal fires (class D), such as lithium, sodium, magnesium and aluminium when in the form of swarf or powder. The L2 extinguisher is the leading Class D fire fighting extinguisher due to its ability to combat lithium fires as well as sodium, magnesium and aluminium. Comes equipped with a special low velocity applicator to ensure the fire fighting powder is applied efficiently and effectively to the burning metal and prevent burning swarf from spreading. Produced for use in laboratories and engineering workshops. Designed to fight Class D (burning metals) fires.